The Vivo X7 is on its way and the Chinese manufacturer is keeping busy playing the teaser game. Yesterday, we heard of a 16MP front shooter on the unit, making it a clear camera-centric offer. Today, we have more info on the hardware of the X7. The new official teaser by Vivo shows the device will have a fingerprint reader. However, instead of on the back, as is typical for Vivo, this one will be embedded in the home button on the front. The latter looks to be quite similar to the physical buttons on Oppo devices and the OnePlus 3. 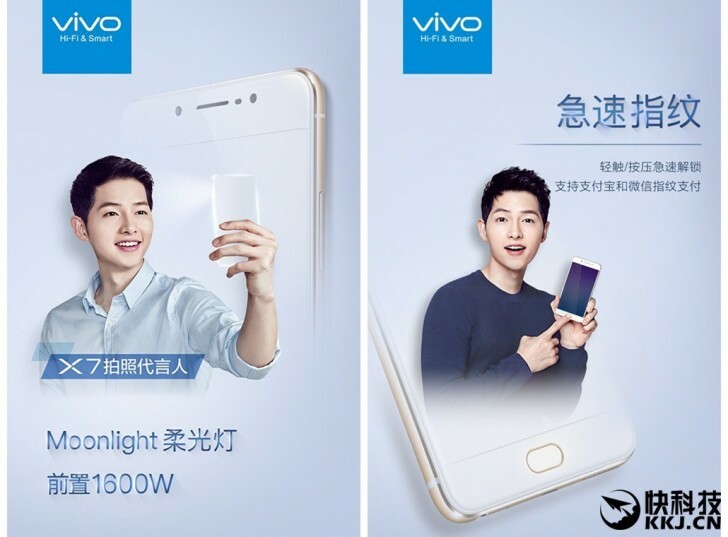 Another industry source has also shared some inside info on the internals of the Vivo X7. It will have a 5.2-inch FullHD display and a 3,000 mAh battery. The chipset is said to be Mediatek's Helio X25. We have already seen it in the new Meizu Pro 6 and the LeEco Le 2 Pro. Memory options should include a 4GB one with 64GB of storage with a suggested price of CNY 2698, as well as a 6GB RAM, plus 128GB storage one for CNY 3288.